A growing number of Americans are overweight or obese. 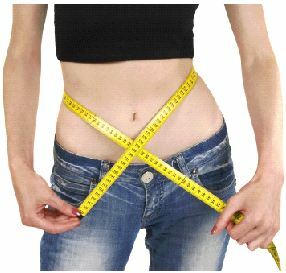 Sometimes diet and exercise alone isn’t enough for us to lose the fat and inches. Taking an all natural fat-loss supplement in addition to cutting the calories and regular fitness will help you lose the pounds faster. But with so many diet pills on the market today how can you tell which ones will actually work? Here at the Healthy Moms Magazine we did the homework and research for you and found five natural fat-loss supplements that have produced positive results for many people. Below is our list of the top 5 best natural fat loss supplements. Green Coffee Bean Extract or Chlorogenic Acid, comes from the coffee beans that have not been roasted. According to a recent study Green Coffee Bean Extract, when taken regularly, can help people lose weight. Chlorogenic acid works with your body to prevent glucose spikes from being released into the bloodstream. Since glucose is a metabolic intermediate, this alters the way both your body and your metabolism work. Taking chlorogenic acid helps jump start your metabolism so you can burn more calories faster. Futurebiotics Green Coffee Extract is a 100% vegetarian supplement that provides 400 mg of Green Coffee extract per capsule, standardized to 50% (200 mg) chlorogenic acid. For more information about Futurebiotics Green Coffee Extract visit TalbertNutrition.com. Raspberry Ketones are found in the primary aroma compound of red raspberries. This compound regulates adiponectin, a protein used by the body to control metabolism. Rasberry Ketones help the fat cells in your body break down more easily. In order to burn fat faster it is recommended that you take 100mg of Raspberry ketones per day which is the equivilant of consuming 90 pounds of red raspberries. According to recent studies people who have taken Raspberry Ketones along with a healthy diet and exercise have seen significant weight loss. Dr. Venessa’s Formulas Raspberry Ketone Elite is an advanced formula that has been designed to help burn fat, inhibit fat absorption, increase metebolism and control appetite naturally when used daily. Since 1992, Dr. Venessa’s has been conducting clinical case studies with individuals, with a variety of health disorders. For more information about Dr. Venessa’s Raspberry Ketones visit TalbertNutrition.com. If you already work out on a regular basis and make sure you have a low carb diet high in lean protein, and plenty of fruits and veggies but you need a little boost to reduce your body fat percentage, MRI Ripcuts will give you the results you are looking for. They come in 20 packets which you mix in water and drink on an empty stomach 30 minutes before your workout. NO2 RIPCUTS contains clinically validated ingredients to help boost metabolism and launch cellular fat oxidation into an extreme calorie and fat burning zone. At the very same time, amino acids in NO2 RIPCUTS helps support and preserve lean muscle that may be lost during calorie-restricted dieting. After using this product for a couple of weeks I noticed a reduction in the fat around my mid section. The only thing that I had difficulty with was drinking 10 glasses of water a day like the package recommends. For more information on MRI Ripcuts visit TalbertNutrition.com. L-Carnitine and Lipotropics help aid your body’s ability to burn fat faster. Health Plus Fat Burner with L-Carnitine is all natural and made with the best quality ingredients. When taken on a regular basis along with a healthy diet and exercise program, this supplement will help you get out of your weight loss rut and lose the pounds faster. Visit TalbertNutrition.com for more information about Health Plus Fat Burner with L-Carnitine. Coconut oil is a low calorie fat which the body can use an energy source instead of carbohydrates. This new diet miracle can help you lose weight and then help maintain the weight loss. This all natural supplement is Free Of Caffeine, sugar, salt, starch, preservatives, coloring, solvents, trans fat and stimulants. For more information on this product and other diet and weight loss supplements visit TalbertNutrition.com.